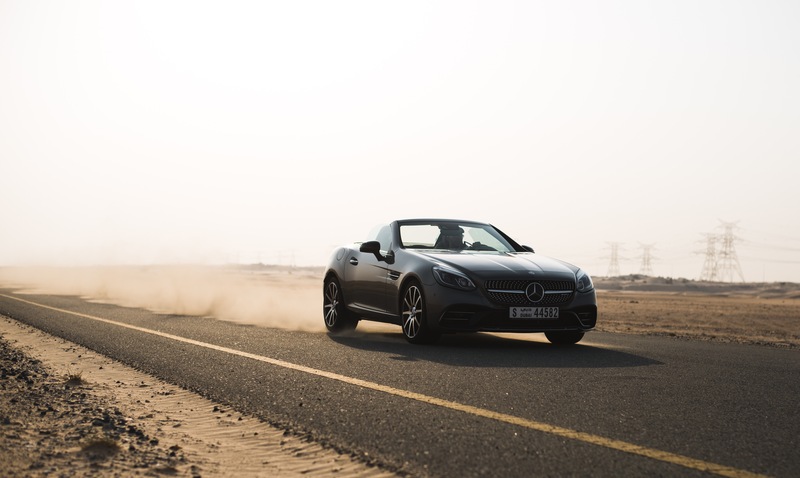 The SLC from Mercedes-Benz is a desirable Roadster at first glance with a masculine design. 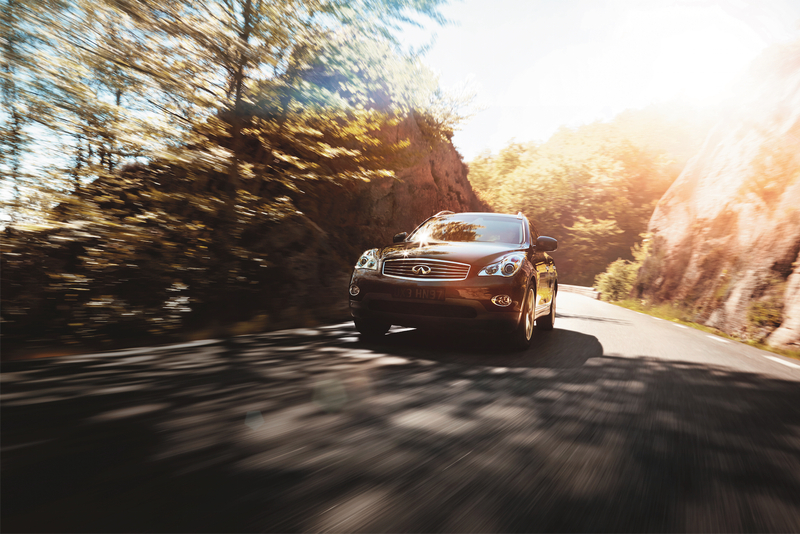 Pure driving pleasure comes from an unrivaled combination of sportiness and comfort. 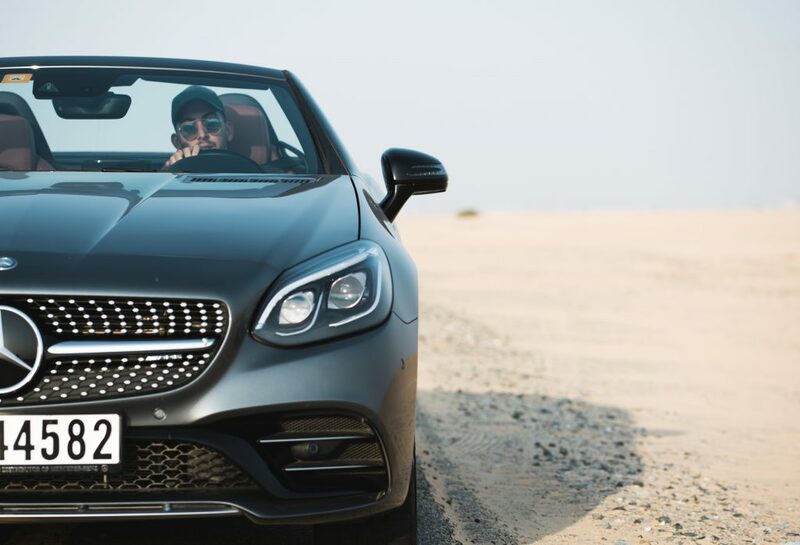 The SLC also conveys an air of self-confidence as a trendsetter and technology leader in its segment – the inventor of the vario-roof and AIRSCARF continues to create highlights. 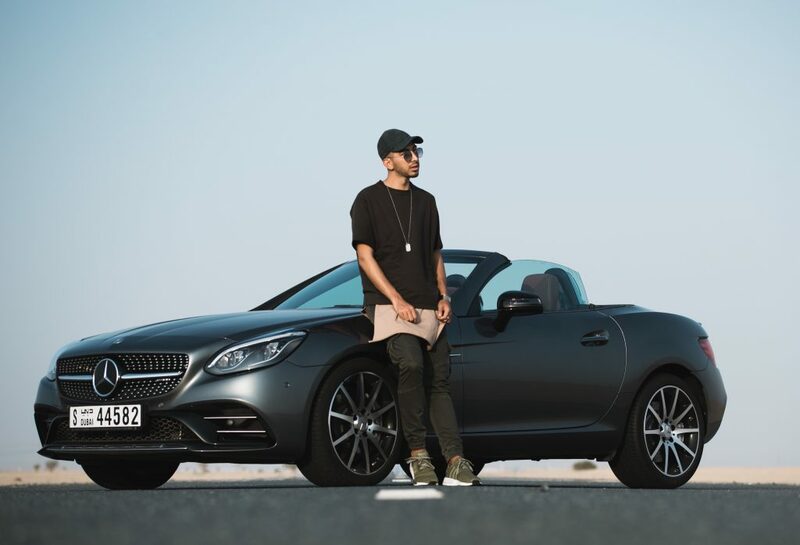 Mercedes-Benz continued its renaming process with the new SLC replacing the SLK, which I had the chance to drive just last week, and what a drive it was. This new twin-turbocharged V6 model replaces the naturally aspirated V8 SLK55 and offers a whole other level of “need for speed”. 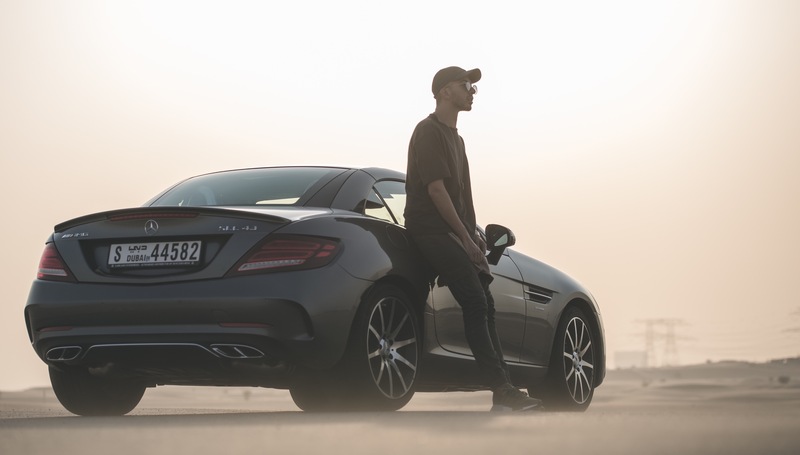 In the new AMG SLC43 the 3-litre twin-turbo V6 produces its 362bhp between 5500 and 6000rpm with its 420lb ft peak torque arriving at 2000rpm through to 4200rpm. Top speed is limited to 155mph and 0-62mph is a claimed 4.7sec (not bad at all). Now despite the name change, Mercedes has made sure not to change too much with the SLC’s new look, and why would they? The look is near to perfection! One of the most intriguing aspects to the new SLC has to be the Magic Sky Control, nothing short of mind blowing! In simple terms, it allows an open-air feeling when the roof is closed. The panoramic Vario roof changes from dark to transparent or vice versa within a few seconds. The opening or closing procedure can be completed at a speed of up to 40 km/h – why can’s all cars have this feature? 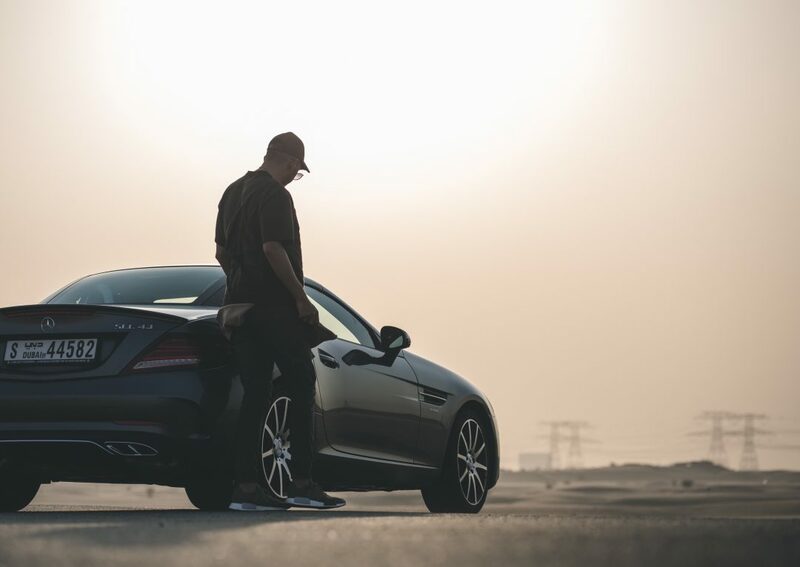 Another great feature of the new SLC43 AMG has to be the Airscarf, this neck-level heating makes open-top driving a pleasure even at low temperatures. 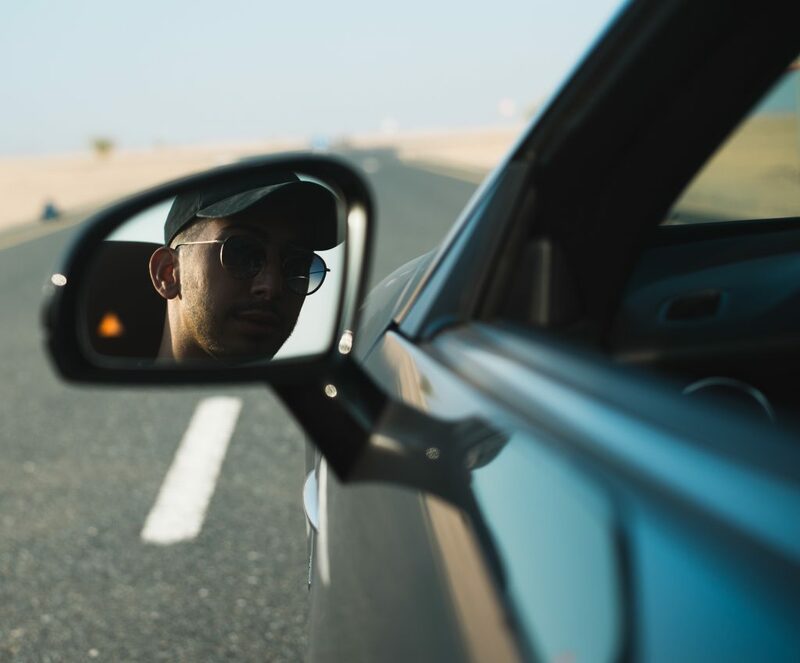 Through air outlets in the head restraints, pleasantly warm air is ‘wrapped’ around the necks of the driver and front passenger like an invisible scarf. The desired temperature can be set in three stages. Not enough for you? The car offers Ambient Lighting. With its pleasant, indirect light, the ambient lighting sets off the interior to particularly appealing effect. The lighting mood with three selectable colors can also be adjusted in terms of brightness to suit personal tastes. Lastly we need to discuss the roof ladies and gentlemen, the roof is NEXT LEVEL! Get this, the roof operation is possible when moving off, up to a speed of 40 km/h. Convenient opening with 1-way operation at the push of a button – an innovative feature is the semi-automatic boot separator for use of remaining luggage space: if the separator is in the upper position, it automatically moves to the lower position electrically. I’m pretty much sold and on my way to the call dealership as you are reading this, CANNOT wait to take this bad boy for a spin again. 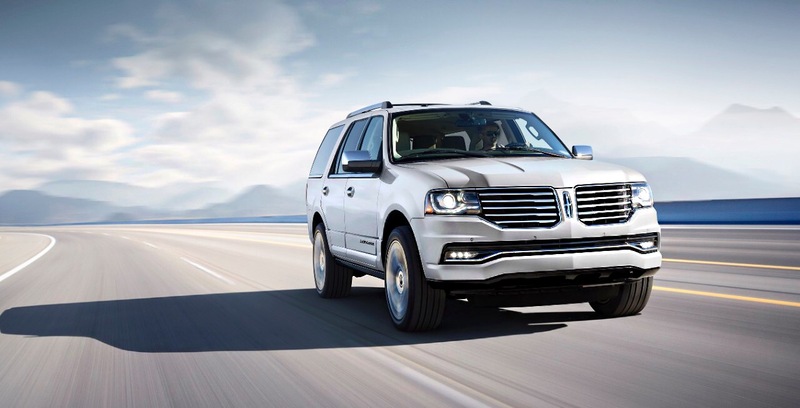 Lincoln – You Navigator YOU!